It is always a good idea to add coffee to the things you eat. Have some coffee with your coffee cheesecake. Go Coffee! Basic recipe with cream cheese, sugar, butter, vanilla. Uses espresso to swirl into the cookie. 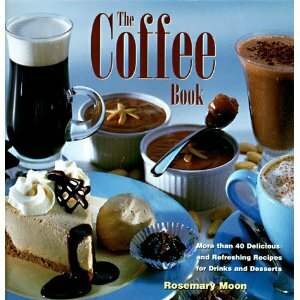 96 pages – so you can drink AND eat your coffee. You can ‘Look Inside’ this book and see the yummy foods. These include: Pies, tarts, frozen desserts and more.